Finely shredded sweet potato adds wonderful flavor, texture, and a moistness to the muffins. 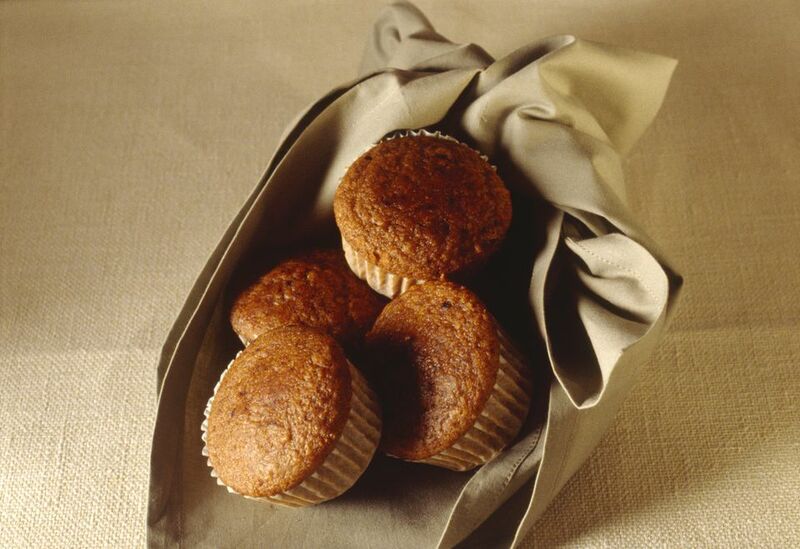 Use walnuts or pecans in these tasty sweet potato muffins. Or add flaked coconut in place of the nuts. Some previous comments noted that their muffins took slightly longer than the 25 minutes. A food processor with the shredding disk attachment is the fastest and easiest way to shred the sweet potato. A box grater or Microplane grater may be used as well. In a large mixing bowl with electric mixer on medium speed, beat butter and sugar until light and fluffy. Beat in egg and vanilla until well blended. In a separate bowl, combine the flour, baking powder, cinnamon, nutmeg, and salt. Stir into the butter mixture alternating with the milk, mixing just until dry ingredients are moistened. Fold in sweet potato and chopped nuts, mixing until well distributed. Spoon batter into greased muffin cups, filling about 2/3 full. Bake in the preheated oven for 25 to 30 minutes, or until the center of a muffin springs back when pressed lightly with a fingertip. Alternatively, check the muffins with a toothpick. The toothpick should come out clean when the muffins are done. Let the muffins cool in the pan on a rack for about 5 minutes. Remove the muffins from pan and serve the muffins warm. Replace 1/3 to 1/2 cup of the sweet potato with finely chopped apple or zucchini. Replace the chopped pecans with chopped walnuts or flaked coconut.